Everything you need, exactly how you need it, wherever you are. 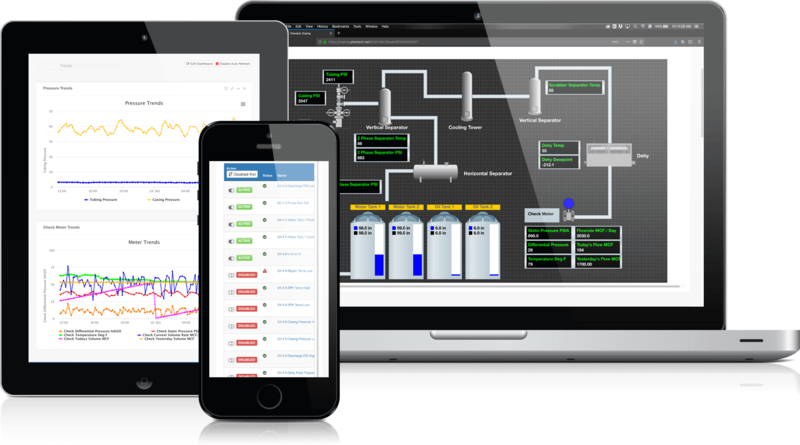 OnPing hosted SCADA / HMI allows you to manage your assets in the field. Setpoints can be set remotely to trigger alarms for any pressure, level or other conditions. 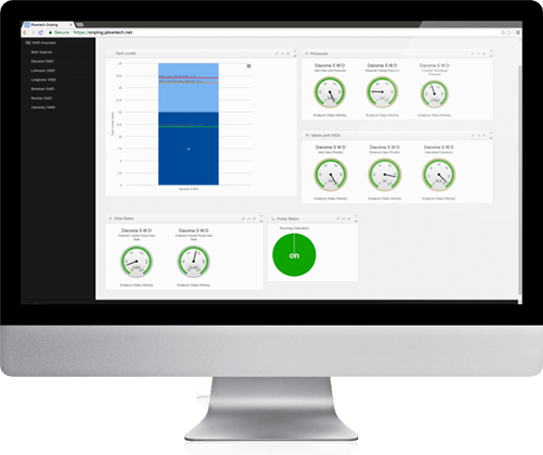 OnPing provides your data in visual form from easy to read tables, trending graphs or even a full HMI to present a visualization of your entire site. OnPing can control specialized processes and equipment. Control Plungers, water pumps and even pump jacks and pump off controllers with full down hole cards. OnPing can be configured any way you want it to be. Each member of your team can set up custom dashboards to show exactly what they need, exactly the way they want it. OnPing stores your data for years with the security of multiple redundant servers. This allows for trending data and reports over long periods of times, gaining insight on your operation. OnPing is accessible from any mobile internet enabled device. Get instant access to current conditions, trending data, HMI’s and even setpoints from anywhere you are 24 hours a day.